In Europe still exist about 50.000 megalithic monuments. The number of dolmen (passage tombs) is estimated at least 15.000. 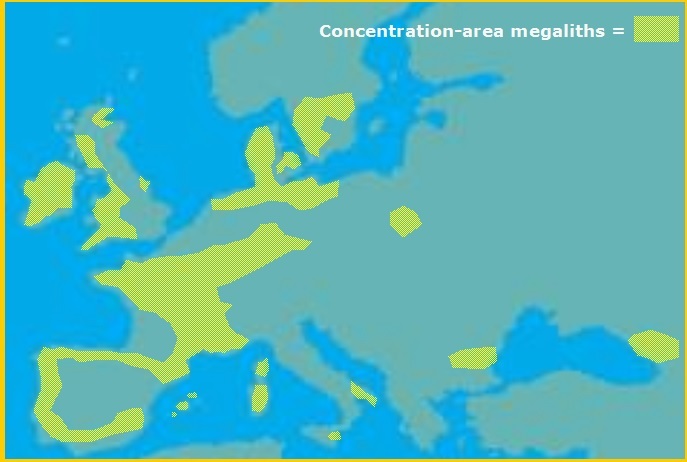 The map above shows most of the megalithic monuments are situated in the western part of Europe. In Norway and Sweden's north-part no megaliths exist. The isle Malta (not on map) is has some very old megalithic constructions.